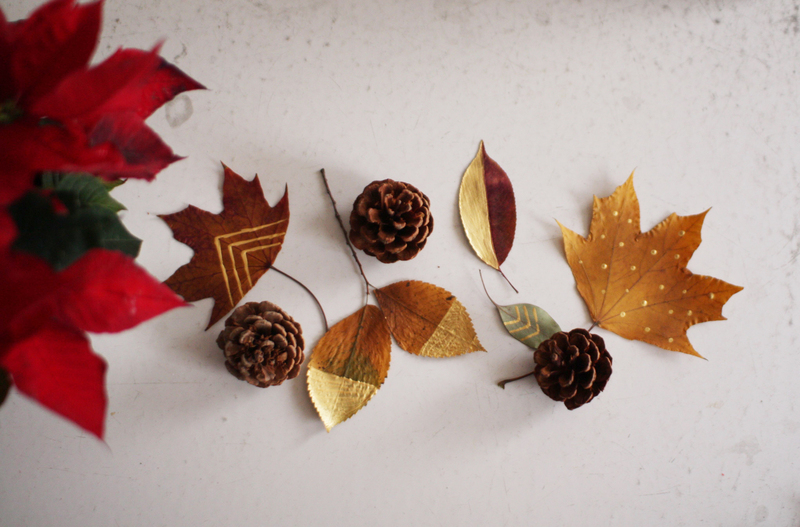 I made these gold painted leaves as part of my Christmas wrapping this year, which (of course!) has a nature theme. I had a lot of pressed leaves collected over the last few months here in Brooklyn – all sorts of exciting leaves that you don’t come across too often in Australia. I also had a few gum leaves (eucalypts) collected from my work because they remind me of home. 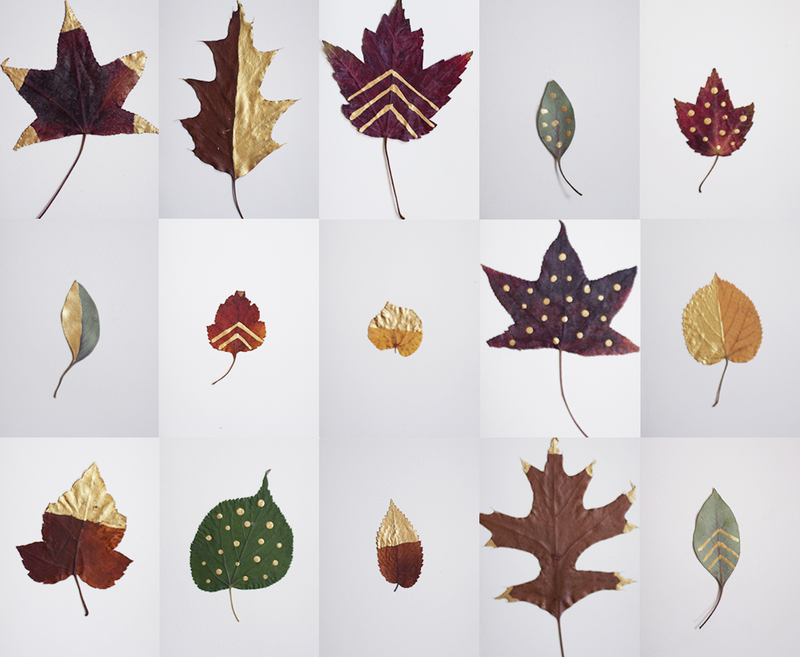 While beautiful on their own, I thought it would be fun to add some patterns in gold paint to make the leaves more festive. 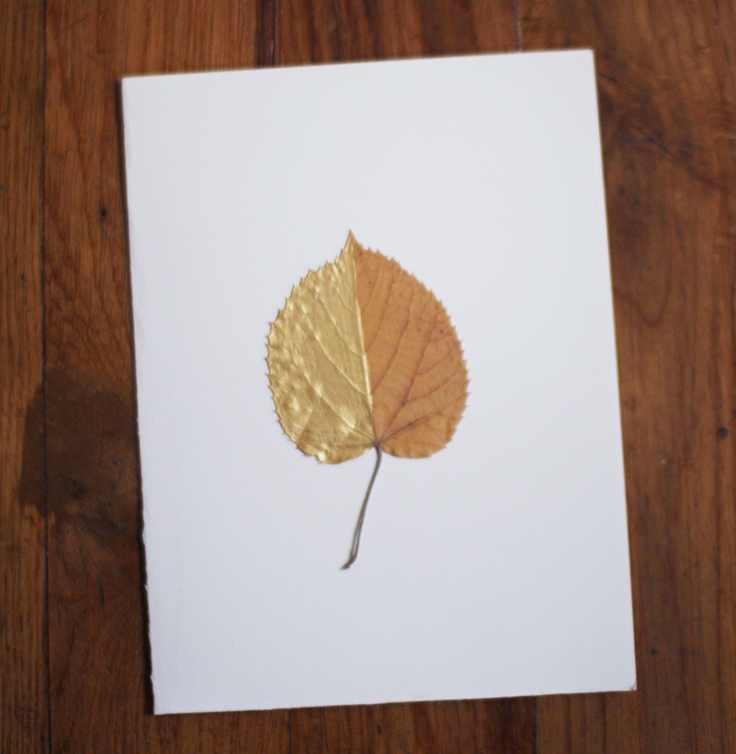 I used the leaves for my Christmas cards but you could also use them scattered down the centre of your table for decoration, or you could write a name on each one using the end of a paintbrush or a gold pen and use as place settings. Press your leaves in a flower press or between the pages of a heavy book for at least a week (use pieces of baking paper on either side to protect your book). Once your leaves are dry and flat, mix a little water with your paint and dip in the end of your paintbrush. Paint your leaves with simple dots, stripes or patterns using the end of the paintbrush. Or use the regular end of the paintbrush to paint one half of the leaf horizontally or vertically. 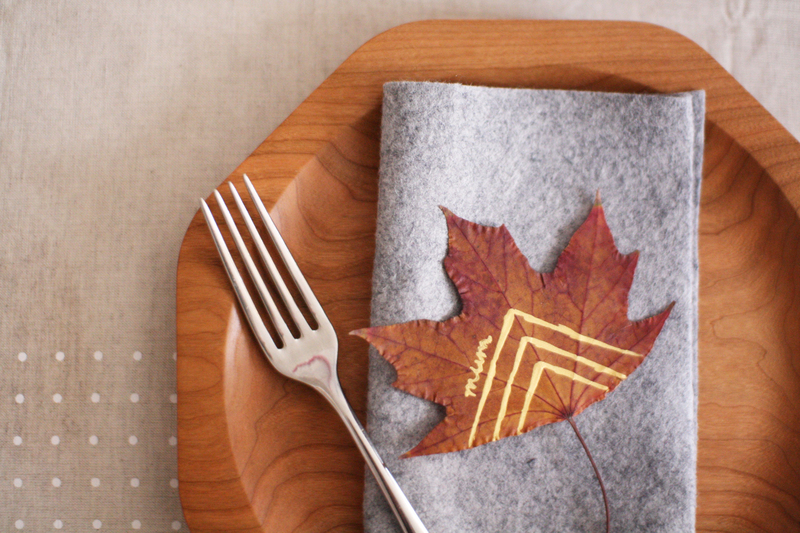 Leave your leaves to dry for several hours or overnight, then glue to the front of plain cards or use on your Christmas table. I’ll share the rest of my Christmas wrapping soon! P.S. If you’re in Perth you might have seen these leaves, along with a few other crafty Christmas ideas from studiOH!, in last week’s Habitat in The West Australian. 22 Dec	This entry was published on December 22, 2013 at 3:51 pm. It’s filed under make and tagged Christmas, DIY, give, green, nature, wrapping. Bookmark the permalink. Follow any comments here with the RSS feed for this post.